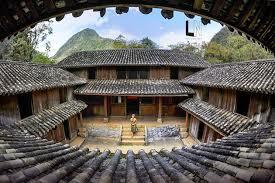 Ha Giang Province is located in Northern Vietnam along the border of China. Ha Giang Province may not be the most well-known visitor location in Vietnam, but it is one that shouldn’t be missed. 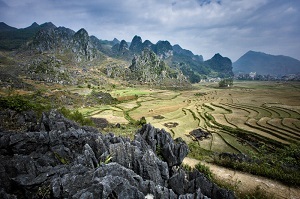 Ha Giang Province features serene and classic locations that have been well maintained over time. 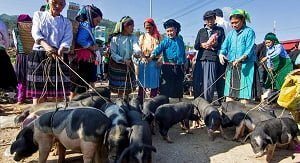 Ha Giang Province still serves as home to many ethnic minorities who help it flourish with culture and vibrancy. The province features hills, valleys, and mountains, and lacks the typical tourist population you may find in more heavily tourist-populated areas in Vietnam. In this post, we will cover some of the highest recommended locations and things to do if you are visiting Ha Giang Province. We hope you enjoy your time here! If learning and experiencing cultures and traditions is on the top of your list, you won’t want to skip this Geopark. Home to almost twenty ethnic minority groups, here you will find beautiful landscapes, fossils that tell the story of history, vibrant flowers, and stretching forests. A perfect blend of history and landscapes to help you remember your visit in Ha Giang Province and experience the magic. If you’re interested in experiencing the rice agriculture that this province heavily relies on, Hoang Su Phi makes a wonderful stop on your journey through Ha Giang Province. 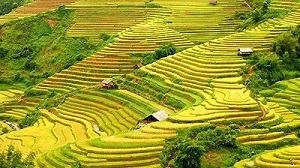 This collection of villages in its remote area will allow you to experience various cultures and the art of rice farming. Some local families even offer tourists the chance to stay with them here during their trip. If you find yourself in Ha Giang Province on a Sunday, you can’t miss this market. A well-known social affair, this market is the place to experience goods, such as handmade accessories and fresh produce, as well as get an up close look into the lives of those who call Ha Giang home. If you want a true, authentic experience of Ha Giang, the market is the place to visit. Live like a king, or at least see how one lived! The palace was built in 1914 and is a structure that is both beautiful and historic. The building itself is carved with poppies to showcase the opium trade that was once prevalent in Ha Giang Province. You can walk through the palace to truly see how the king lived and all that lies within the palace walls. A long and winding road, this is not for the faint of heart. The road is along the edge of the mountains and will allow you to experience the nature around you such as the terraces of rice paddies and the Nho Que river. 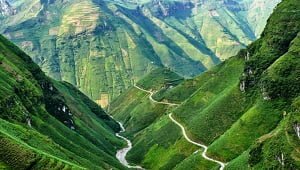 This drive is a great idea for nature lovers who want to experience all that Ha Giang Province has to offer. So please don’t hesitate anymore to contact us for more information!